Led by playwright and screenwriter Freddie Machin, From Stage to Screen is a practical workshop which will explore the challenges presented in writing for these two different media. Drawing on the experience of adapting his debut stage play for screen, Freddie will lead participants through a series of exercises that will engage the visual imagination, highlight good structure, and encourage brevity in your writing. All levels welcome. Freddie Machin is a playwright and screenwriter. Based on his play of the same title, Freddie wrote the feature film Chicken, which got its UK cinema release in May 2016. Mark Kermode included it in his best films of that year for the Guardian newspaper, and it received its network premiere on FilmFour. Freddie’s other plays include: The Real Estate, Candy Cansino Checks In (Italia Conti), Nailhouse (Old Red Lion), Winston on the Run (Edinburgh Fringe & UK Tour), The Revenge of Martha G. (Chichester Festival Theatre), Don’t Waste Your Bullets on the Dead (Vault Festival), Chicken (Southwark Playhouse). Who’s it for? All levels are welcome. 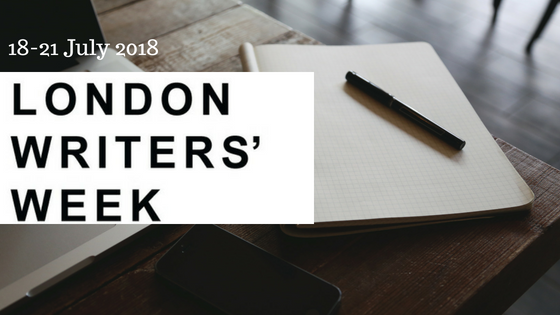 Check out our other London Writers’ Week events here.